If, after reading a small engine repair career profile, this occupation appeals to you, there are many opportunities for you to get started in this lucrative industry. Small engine repair mechanics focus on repairing and maintaining engines for motorcycles, lawn mowers and other small operating engines. Skilled mechanics are always in great demand. 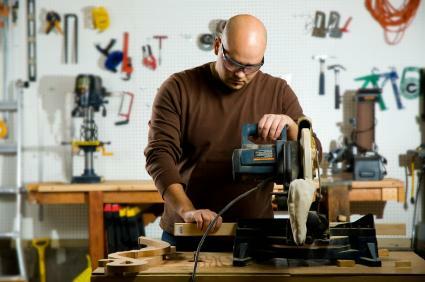 You can find a job with an employer or become a small business owner and open your own repair business. With growing demand for repairs rather than replacement to small engines, your career skills will always be in demand. A small engine repair career profile includes an example job description, overview of daily tasks, occupational outlook, and training requirements for this profession. Small engine repair maintenance specialists and small engine mechanics perform routine maintenance as well as troubleshoot and fix engines on small devices. They may change the oil, spark plugs, air filters and more on lawn mowers, riding mowers, power washers, motorcycles, and other types of small gasoline or electrical powered equipment. People who are small engine mechanics can be self employed and offer repair services through a shop or a traveling repair service by driving to the customer's homes to repair equipment. They may also work for companies like John Deere that offer riding mower and agricultural equipment maintenance and repair at service locations or through on-site service. Some large corporations even hire small engine mechanics. Manufacturing companies, power and co-generation plants and other types of industrial plants may need a small engine mechanic on staff to fix certain pieces of equipment or to perform routine inspections and maintenance. A small engine repair mechanic may get calls from people who have malfunctioning equipment. He will receive the equipment at the shop or travel to the customer's home to examine it. A skilled small engine repair mechanic observes, listens to and tests the engine he is working on. He may change parts using hand tools, or operate computerized diagnostic equipment to trouble shoot the engine. He may also receive small engines for routine maintenance and perform oil changes and other important service tasks. Opportunities for small engine mechanics are expected to remain steady and continue to grow at a small but regular rate. During downward turns of the economy, many people opt to repair rather than replace small engine equipment, resulting in a greater demand for this skilled position. This job tends to have seasonal highs and lows. For example, more people use small engine equipment like motorcycles and lawn and garden equipment in the spring and summer, so maintenance and repairs are often needed during that time period. Engine repair requires a thorough knowledge of mechanics, and most small engine repair mechanics attend trade school and obtain a certificate in small engine repair. You do not need a college degree for this career. Many also repair engines on the side, learning from their own trial and error, but employers often seek mechanics with certificates from recognized schools. Look for a small engine repair program at adult vocational schools, high school vocational programs, and auto mechanic training schools. A high school diploma and certificate from a vocational or technical school is the basic education requirement for this job. If owning your own small business performing engine repairs appeals to you, you'll need to find a suitable business location and obtain whatever local certificates you need. You'll also need to find health insurance and other types of insurance to protect your business against financial losses. You will need good people skills to interact with your customers, as well as strong repair and maintenance skills. You may want to work for an employer for several years before starting your own business so that you get a better idea of the business requirements and daily job tasks of this position. Career Overview - Small Engine Repair: Details the job requirements and daily life of a small engine repair mechanic. The College Grad Career Information: This site lists the many subcategories of mechanics, including motorcycle mechanics, outdoor power equipment mechanics and more. Penn Foster Career School offers information on this career and a home study course for potential mechanics.